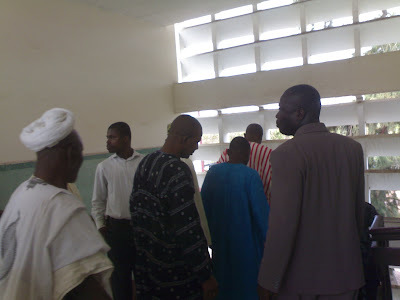 An Accra Fast Track High Court trying 15 men who have been accused of murdering Ya Na Yakubu Andani II, overlord of Dagbon, yesterday heard how the police organized an identification parade to enable them arrest some of the accused persons. However, the Attorney General’s Department failed to bring those witnesses who took part in the exercise to testify in the trial. Detective Inspector Augustus Nkrumah, the current investigator had tendered photographs of Kojo Ngula, Wumbei and Abdulai among others, who took part in the identification parade, claiming some of the accused persons were involved in the murder of the Ya Na, yet the prosecution did not invite them to testify. Detective Nkrumah told the court, presided over by Justice EK Ayebi of the Court of Appeal that Ngula is indisposed but could not explain why the others were not in court as prosecution witnesses. Counsel: Who did you arrest? around June. That was the time Mohammed Cheampon and others were arrested. Counsel: What specifically did you do? Witness: After the arrest I took the opportunity as the investigator to see the place. Counsel: When was your third visit? Witness: Just this Saturday. I went there to familiarize myself with the place… My second visit gave me a concrete idea about the situation. Detective Nkrumah said when he went to Yendi he was followed to the Gbewaa Palace by policemen in Yendi saying he was assisted with 10 armed policemen. Witness: I have made it known that I have been there before. Detective Nkrumah said when he took over the case some of the accused persons had already been arrested by the police and said he was among the arresting officers but the case had not been given to him at that time. Counsel: You said you relied on documents in your investigation. What document was that? Witness: The first people were arrested before I took over the case. The subsequent arrests were made based on evidence. Detective Nkrumah admitted that some of the names of the suspects were not in the docket but said they were those arrested and released, adding that some of them were freed by the Human Rights Court. Witness: It came to my attention when the case came to court. It was Hon. Atta Akyea who told me about it. He disagreed with counsel that the first suspect was arrested in March, saying it was in May. He said he got the medical report through a Chief Superintendent who was part of the initial investigations but did not ask him where he (Chief Superintendent) got the report from. Detective Nkrumah said it was Imrana Saibu (PW3) who said he saw the one who decapitated the Ya Na. He noted that he was not aware that the witnesses had already testified that they were at a particular spot and could not see the one who decapitated the Ya Na. He said he did not speak to Detective Charles Adaba (the initial investigator) about the case because he (Mr. Adaba) was in Sudan. He said PW3 had told him that the accused person used a dormer machine to decapitate the Ya Na but did not find out from the pathologist because the medical report had said so. Detective Nkrumah said he knows Mohammed Achana Abdul Salaam aka Red who had testified as PW9 but said he did not know that Red was once trained in both Pakistan and Afghanistan. He said it did not come to his attention that Red surrendered a G3 weapon to the police and said he does not know if the Wuaku Commission was not able to identify the killers of the Ya Na.